wythall radio club | Fun weekend at Wythall Radio Club! Fun weekend at Wythall Radio Club! Wythall Radio Club was in full swing ‘on the air’ last weekend! 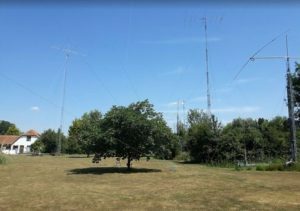 Members braved the hot weather to operate all manner of portable radio equipment and antennas and contact other stations around Europe on Sunday morning. Operating from the field near our Club HQ, this ‘Plug and Play’ event is one of many activities Wythall Radio Club offers to its members. Cool drinks and a camping grill kept the group hydrated and energised! 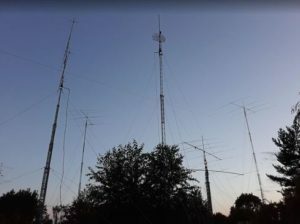 At the same time, two Club members were contacting stations around the world in an international radio competition – making over 13,000 contacts in a 24 hour period! 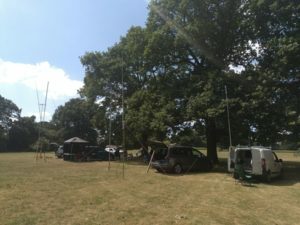 Lee G0MTN and Jamie M0SDV used powerful radios and antennas on 60 foot towers, as part of the UK national radio society’s ‘M6T’ team based in Suffolk. 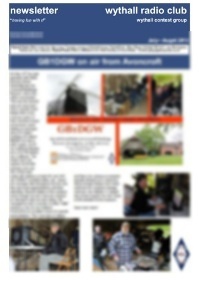 ← Exam successes at Wythall Radio Club!